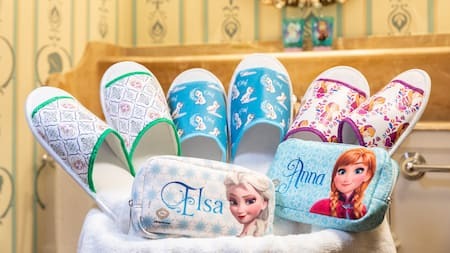 Step into the world of Anna and Elsa as you open the door to the Frozen Suite. Be immersed in a picturesque winter landscape, where you can hop aboard a sofa designed after Kristoff’s sleigh, while young Guests are invited to play with a large Olaf plush toy in a cozy play corner. Book your stay at Kingdom Club Frozen Suites now! 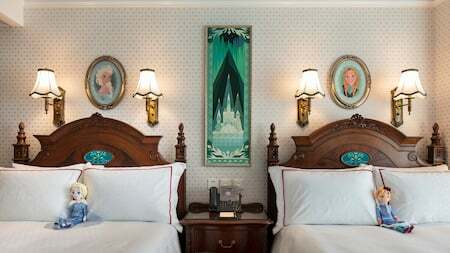 Retreat into the bedroom to find yourself surrounded by the décor of Arendelle. 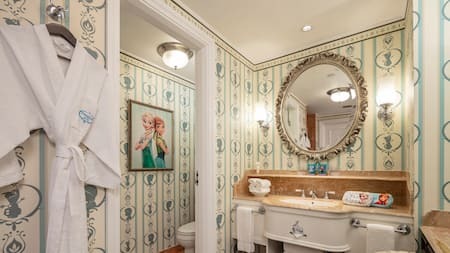 With ornate beds under a peaceful snow-laden ceiling, this is the place for a royal rest after a long day at the Park. Children will take delight in drifting to sleep as cute plush toys of Anna and Elsa look over them. *Pictures and menu are for illutration purpose only. Actual served food may vary. 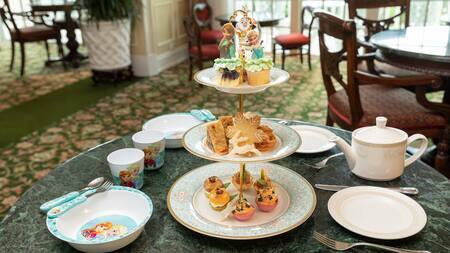 *Guests can enjoy the tea set at Kingdom Club Lounge or inside the room upon request. *An extra charge applies to non-listed items. *Photo is for reference only. 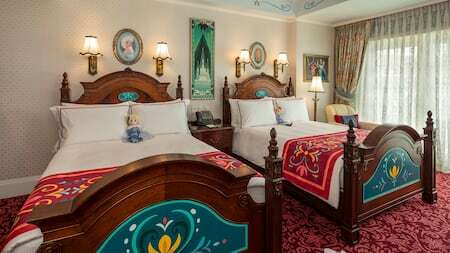 Furnished with Frozen-inspired artwork, decorations, and exclusive amenities, this first-of-its-kind experience at Hong Kong Disneyland Resort is where guests of all ages can make their Frozen fantasy become reality. As a member of the Kingdom Club, you can look forward to personalized vacation-planning services, complimentary snacks and beverages throughout the day, bedtime stories with Disney Friends at night. 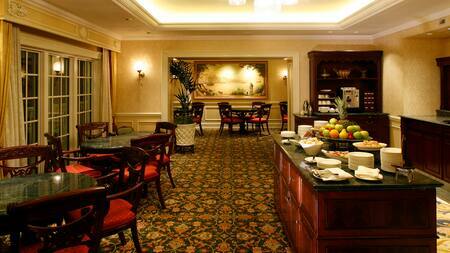 Complimentary Deli and refreshing drinks at Kingdom Club Lounge at anytime of the day. Tailored kids activities, including craft-making sessions for your princes and princesses. Bedtime Story - complimentary cookies and milk, plus our Cast Member reads a classic Disney story to your little one for a restful nights' sleep. A Disney friend in Pajamas will say 'Good Night' to you before Bedtime reading too! Personalized Services to Make Your Stay Truly Magical by our Cast Members - from offering you insider advice on the Park, to planning your Disney Dining experiences.